The European-inspired Englewood collection is both eye-catching and opulent. Fanciful, without being fussy, and strong without being over-powering. 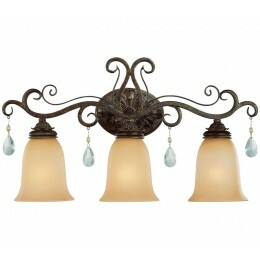 With brilliant crystal tear drops dangling from the rich French Roast finished 3 light vanity, this well-heeled addition is sure to increase the value of your home. 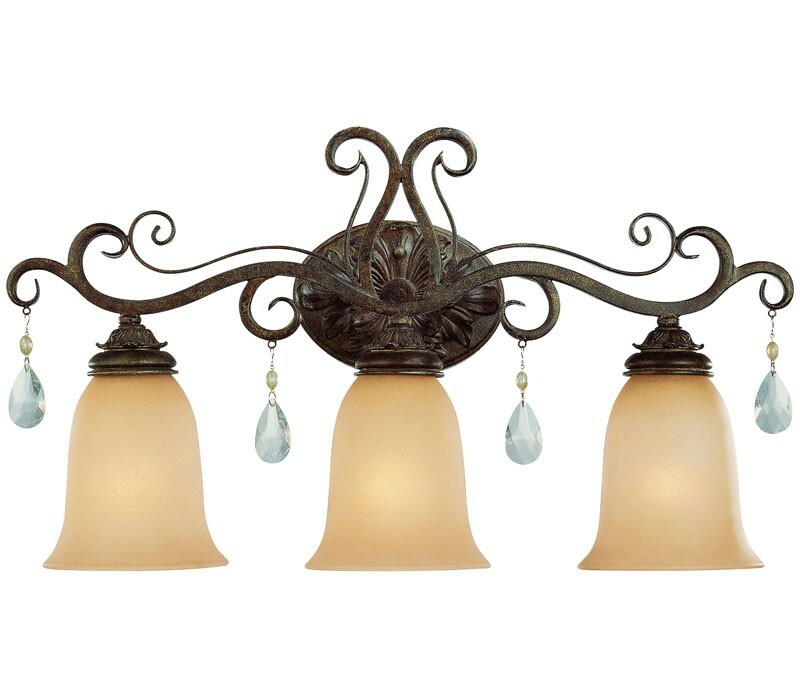 The Craftmade 25603-FR Englewood collection Vanity Wall Lighting in French Roast uses Incandescent light output and brings Antique style. This item is 13.5"H x 25.25"W x 6"D. The total wattage is 216 and the voltage is 120 volts. The Craftmade 25603-FR requires 3 bulbs (not included). Additional Information: Shade-Light Umber Etched Glass.